Me, getting ready for Dive #1. I dove Breakwater for my open water certification and it was pretty cool! I didn’t have a GoPro or any other underwater camera so I wasn’t able to take any pictures. 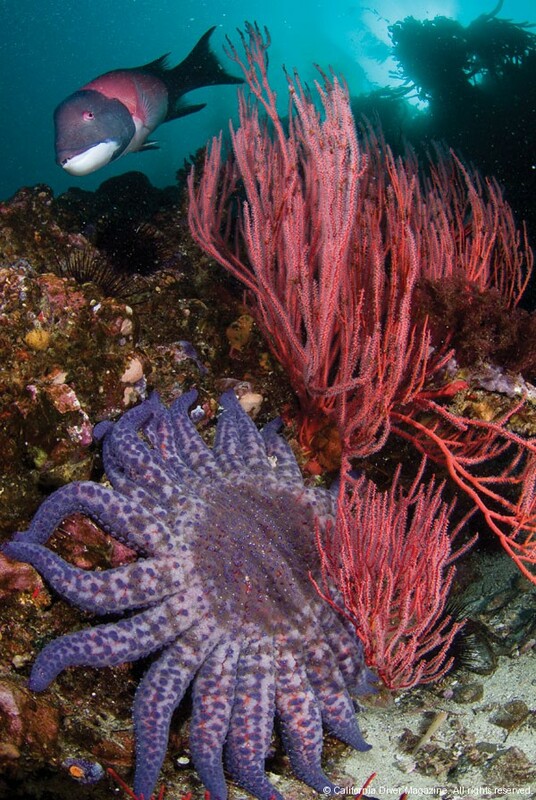 Now I really wish I had one at the time because there were thousands of baby crabs running across the ocean floor, all in the same direction, and I saw a sunflower star. I did two dives here on day one of my certification. 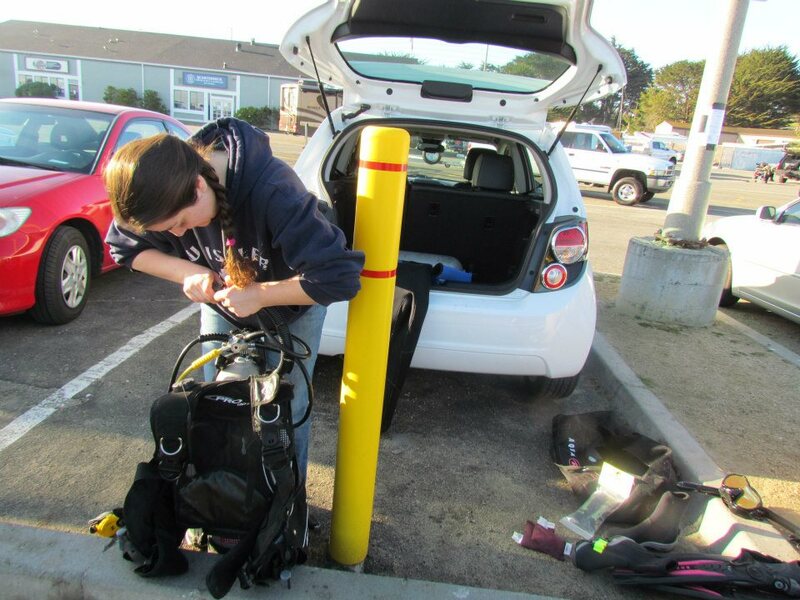 If you’re going to dive here, make sure you get there early because parking fills up pretty fast! Make sure you get a spot close to the water so you don’t have to walk a mile with your scuba gear on. For new divers, let me warn you: When you first come out of that water your gear will feel a hundred times heavier than when you went in! Maybe build up some muscle strength and endurance before you go… I really should have. It felt like I was carrying a sumo wrestler on my back! One of the dive instructors told me his workout routine is designed to help with that. I never got a chance to ask him about it. Maybe he bench presses the tanks or uses them to do bicep curls. Who knows! Diving this place reminded me of the Submarine Voyage ride at Disneyland before it was unjustly turned into Finding Nemo Submarine Voyage. Minus the mermaids, sharks, and man-eating octopi of course! The Coast Guard station is on site and you’ll see a lot of sea lions hanging out by the wall. Also on site is Glenn’s Aquarius II Dive Shop and a fantastic eatery called Massaro & Santos Restaurant, which I highly recommend! I haven’t been to Breakwater since I was certified, but I look forward to going again when I have more time to dive. And next time I’ll bring the GoPro! If you’re a fairly new diver and you want to get better acquainted with diving and your new skills then this is a great place for you.